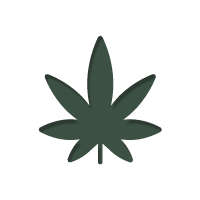 >Blog>Is Raw Cannabis Leaf A Superfood? Is Raw Cannabis Leaf A Superfood? Independently of whether you're a medical or recreational consumer, eating fresh cannabis leaves can help you discover a whole new side of the plant you've never experienced before. Let's dive into it! It’s no surprise to most of us that cannabis has a lot of benefits for both mental and physical health. THC and CBD both act as neuroprotectants, and can help maintain a balance in brain chemistry. Cannabis flowers, which contain the highest concentration of resinous trichomes, can help relieve symptoms of anxiety, depression, and ADHD, depending on the strain and the cannabinoid/terpene profile. Even for purely recreational consumers, cannabis buds can be smoked, vaped, or made into edibles to help individuals achieve a calm, more positive outlook on life. When it comes to physical ailments, a few puffs on a joint can sometimes be enough to put chronic pain on hold and to soothe nagging headaches. But this information isn’t all new. But here’s something that maybe you haven’t thought about before; what can fresh cannabis leaves do for you? To explore this topic, we must first have a look at a cannabinoid that you may not be familiar with. Tetrahydrocannabinolic acid (THCA) is the non-psychoactive precursor of THC. Although research specifically on this compound is scarce, there are certain findings that suggest relevant applications for therapeutic use. 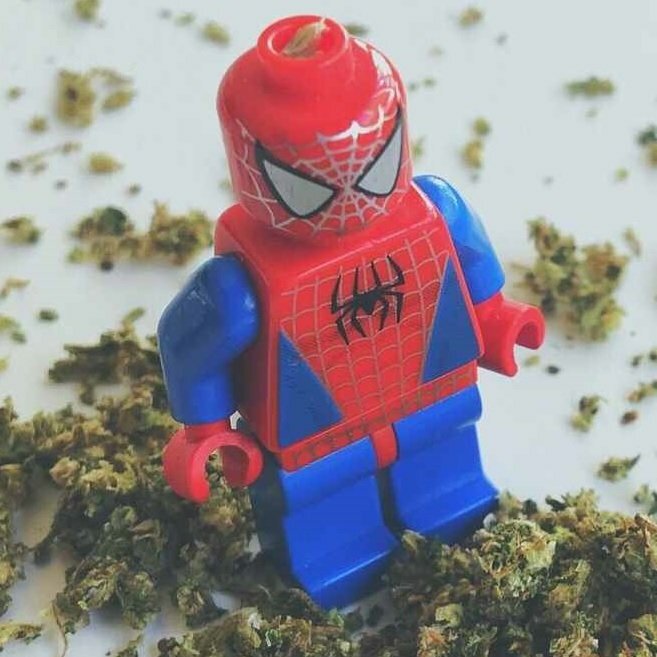 Even though THCA is the most abundant cannabinoid found in non-decarboxylated cannabis (including the leaves), researchers have long been much more interested in what it transforms into. THCA’s neuroprotective function is extraordinary, but also common among most cannabinoids. Furthermore, THCA also boasts anti-inflammatory and anti-emetic properties, meaning it could be effective as a treatment for conditions like arthritis and nausea, among numerous others. In fact, anecdotal evidence points to THCA as beneficial for relieving insomnia, chronic pain, and muscle spasms. THCA is found in live cannabis plants. It’s only when the plant is heated or dried over a long period of time that THCA will convert to psychoactive THC. This is why cannabis flower needs to be decarboxylated before using it to make edibles. This is also why edibles recipes usually require you to make cannabutter/oil and infuse it into the dish, rather than simply grinding fresh weed atop a finished plate. Decarboxylation will happen progressively while the flower is drying and curing, but will fully occur when you light up a joint/bowl, or safely heat plant matter to the desired temperature in the oven. This process also applies to CBD. Not surprisingly, CBD starts off as acidic precursor CBDA, which will not sustain the same scale of effects until it’s been “decarbed”. What Are The Benefits Of The Different Cannabinoids? Luckily, decarboxylation is quite easy. Simply grind your weed up into small pieces (not quite a powder), and place it evenly on an oven tray. Leave it in an oven for 30–45 minutes at 110°C, stirring every ten minutes or so. This temperature is low enough to fully decarb your cannabis, without degrading the cannabinoids with too much direct heat. You might also be interested to know that vaping cannabis is its own form of decarboxylation. Cannabis leaves are a great addition to any healthy smoothie or juice, and don’t require decarboxylation. The flavour of fresh cannabis isn’t as intense as one may think, especially in small quantities. It works beautifully as a garnish or mixed into a homemade sauce. But besides being delicious, leaves are also very healthy. Cannabis leaves, like most greens out there, are full of fibre, a crucial element to digestive health. Some claim that chewing on cannabis leaves whole can be a bit rough on the stomach, so many opt to blend them into a green smoothie. Another great health benefit to eating fresh leaves is the variety of vitamins and minerals you’ll be ingesting. They contain vitamins D and C, the latter being an essential vitamin for proper immune system function. As for minerals, iron and calcium are the most prominent. These will help keep your bones healthy and your blood oxygenated. Finally, cannabis can be filled with antioxidants and anthocyanins (though anthocyanins are only present in purple strains). Antioxidants are great agents that combat stress and ageing, while anthocyanins may reduce cholesterol and encourage heart health. There is no doubt that cannabis leaves are extremely healthy, offering a holistic range of benefits that are difficult to obtain completely from traditional supplements and pharmaceuticals. All you need to do is place the ingredients in a blender and combine on low-medium speed until the mixture is smooth. All these ingredients are up to personal preference, and can be added or subtracted based on your palate. The only crucial one is the cannabis leaves, of course. Feel free to replace or add any ingredients you feel would go well with this non-psychoactive edible. If you prefer a vegan option, we recommend you use agave nectar or maple syrup instead of honey. Hopefully, you’ve learned a thing or two more about cannabis leaves and how they can benefit the health-conscious cannabis consumer. For growers, now you have another way to use all that extra trim. Let us know if you stumble upon a recipe that’s too good not to share. Have fun and enjoy your green smoothies! Francisco is a 20-year-old writer and photographer. His love for cannabis made him decide to pursue it in a professional realm. With a purpose of reducing the stoner stigma, Francisco writes positive and progressive articles.